Meares Dental present new service viagra ireland overnight delivery. 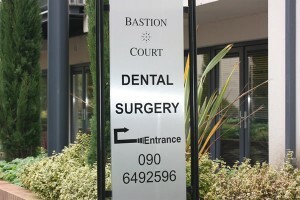 Meares Dental Surgery provide quality, state of the art family dental care and is based at Bastion Court, Connaught Street in the heart of Athlone. Healthy teeth and gums are essential to your well being and we look forward to serving the dental needs of you and your family. We have created a waiting room specially for children with books, toys and DVDs. Since 1960, Meares Dental has provided quality dental care. Today, our dedicated team will help you enjoy the benefits of a healthy smile. We genuinely want you to enjoy your visit to our practise and we look forward to seeing you soon. We aim to see emergency patients on the day whenever possible. We also offer late evening appointments. Our goal is to deliver dentistry of the highest quality using the most modern techniques and materials available. © 2019 Meares Dental. All rights reserved.